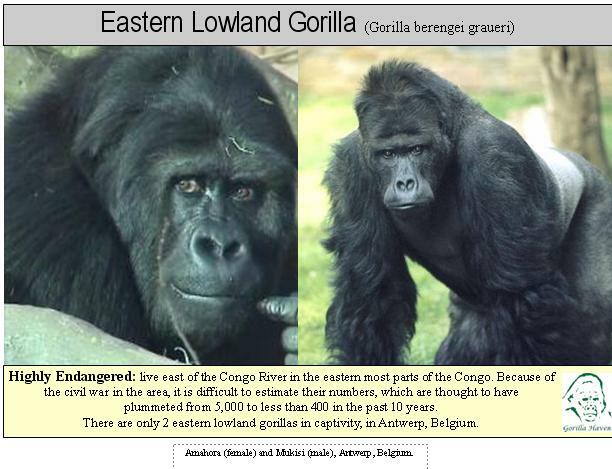 Eastern Gorillas are highly endangered in fact all species of gorillas are endangered of critically endangered. All gorillas are threatened by factors such as habitat loss and degradation, invasive diseases, harvesting, and human persecution out of fear. Eastern Lowland Gorillas are specifically threatened by poaching because they are used as food, called bushmeat, and pets. Sometimes their body parts are even used for medicine and magical charms. Another threat is the loss of their habitat due to farming and mining. 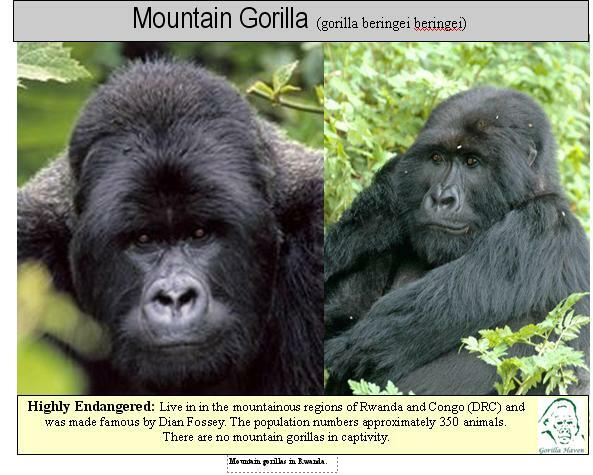 Mountain Gorillas are also endangered due to poaching for their body parts which are sold to collectors and are sometimes killed in traps and snares intended for another animals. Their habitat is rapidly being destroyed as well as there is over 10,000 people living in the areas where they’re found. 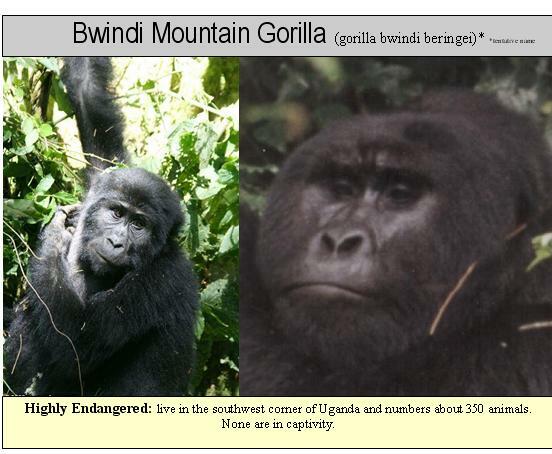 Another massive threat to Mountain Gorillas is the constant civil war that was occurring around them and now it is technically over but there is still heavy civil unrest in their area and they are still killed due to conflicts. There is a massive effort to save Eastern Gorillas as there are zoological parks and nongovernmental organizations that are constantly making strides towards finding ways to help these incredible creatures. If you want to find ways that you can get involved and help out there will be some links to some great websites in my reference section.